Fact, we offer die fees for less! Industry leading die fee pricing specials available here! 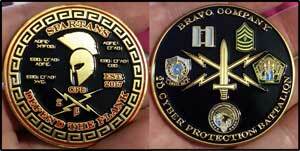 We don't sell cheap custom challenge coins because it's not fair to you or us. Attempting to have the lowest price would only run us out of business. Sure the savings would be there but trying to be a discount anything (unless you have the proper margins) sets a terrible precedent. How long would it be before our super low prices were no longer low enough? We enjoy savings as much as anyone else but we would not approach a business and expect discounted service. Making custom coins is a unique business that combines a product and a service. Having said that, we have found the saying “you get what you pay for” holds a lot of validity and seems to apply to almost everything you buy. If we were to market our business as a discount business you would have to stop and ask yourself why! Are they offering an inferior product or service, or both? You would probably end up thinking, hmmm, I’m not sure I can do business with these people. Their service is not responsive, they don’t warranty their product and you can’t ever speak to anyone. We are proud to say that we are very responsive, so much so that we're usually available during non working ours via email. We are more than happy to help everyone make their die fee more affordable. As a matter of fact we offer the most favorable die fee price break in the industry when you order 150 coins or more, you get 50 percent off your die fee on coins measuring 2.25 inches or smaller, including special shapes. 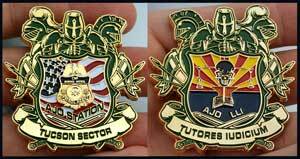 Selling challenge coins for less than anyone else is not our business model! Delivering quality products and providing outstanding service at a competitively affordable price is our business model! If service and responsiveness are important to you then you're in the right place. Contact us today for your free no obligation price quote.